Researchers reveal that gardening has a positive effect on our mental health. Not only can regular gardening reduce mental health problems like depression and anxiety, it can also help reduce stress, combat high blood pressure and improve our overall fitness. We thought we would put this theory to test. 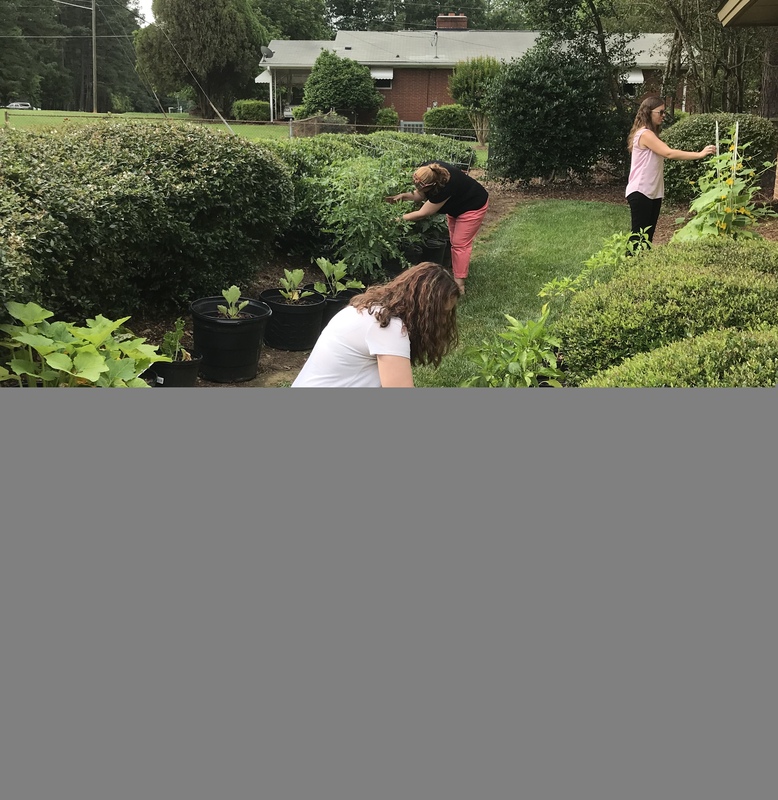 With the help from our friends at Johnson Nursery and Ogburn’s Landscaping, we got our hands dirty and started a container garden. We planted everything from lettuce, tomato, cucumber, bell peppers and eggplant. We have noticed our staff stopping to take a break to care and look at the garden. Some have even said that watering the garden helped reduce stress. We encourage everyone to take a break, get a breath of fresh air, and enjoy caring for the garden whether it’s watering, pulling weeds, or picking produce. We are eagerly waiting for enough produce to enjoy a company salad.